Are we finally gaining the upper hand in the "war on cancer," declared 44 years ago by President Nixon? Dr. David Agus says that while we haven't won the battle yet, the future of it is shifting and looking brighter. Agus, the author of the new book "The Lucky Years: How to Thrive in the Brave New World of Health," published by Simon & Schuster, a division of CBS, said cancer is moving in the direction of becoming a manageable condition for many patients, much in the way people live with arthritis or type 1 diabetes. "For the first time ever, I can walk into a patient's room and have optimism. Not optimism I can cure them, but optimism I can make them live longer and better with this horrible disease," said Agus, who leads the USC Norris Westside Cancer Center. Cancer is the second leading cause of death in the United States behind heart disease. Every three minutes, two people die from cancer. Former National Cancer Institute deputy director Anna Barker said we're seeing improvements over past treatments, when doctors' primary tools to fight cancer were cutting it out or bombarding it with toxic chemicals through chemotherapy. But that's changing, and two new medical approaches are leading the way: precision medicine and immunotherapy. 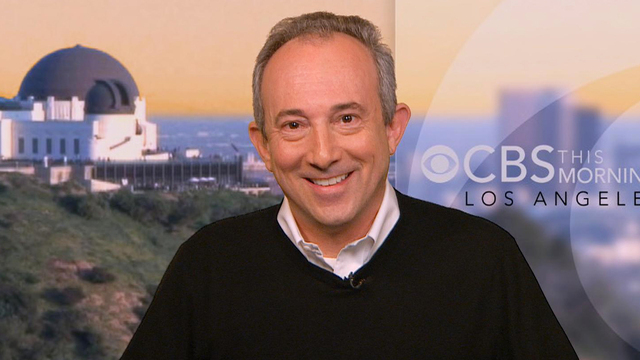 "They're offering staggering hope in this disease," Agus said on "CBS This Morning." Immunotherapy, which has been 40 years in the making, "is allowing us to change an entire system, the immune system," said Barker. It involves stimulating the immune system to attack cancer cells, which can stop or slow the growth of cancer. It can also prevent it from spreading to other parts of the body. Former president Jimmy Carter was recently treated for cancer with immunotherapy. Dr. Judy Garber, director of the Center for Cancer Genetics and Prevention at the Dana-Farber Cancer Institute, said precision medicine comes in when doctors can understand and address the biology driving a tumor -- the genes that are behind the cancer -- such as certain inherited forms of breast cancer. We have to approach cancer in a new and different way, Agus said. "To me, cancer is a verb, not a noun. You're cancering," he said, explaining that his job is to change a person so that the cancer doesn't want to grow. Barker said cancer is not the same from one person to the next, and the challenge is to treat patients as individuals and to target their personal biology and needs. "We don't underestimate the challenge," Barker said. Steve Jobs, the founder and CEO of Apple who had pancreatic cancer, found the disease perplexing, said Agus. "He couldn't understand why I couldn't 'de-bug' him like an Apple engineer," Agus said. Moving forward, experts believe we will stop identifying cancer by body part and focus on the way it grows. "In this new era, we're going to categorize cancer by 'on switches,'" Agus said. "You're not going to have lung cancer, you'll have an EGFR-signaling cancer." Prevention also plays a key role in fighting cancer, the experts said. "We would prevent cancer if we could get rid of cigarettes," said Garber. Controlling weight, limiting alcohol consumption, eating a healthy diet, exercising more, and avoiding too much sun and tanning booths can cut risk, too, research suggests. Screening for certain cancers for also reduces risk. "Early detection is still important. We do beat some cancers when we find them early," Garber said. Agus's book goes into more detail on other health issues too, including cutting-edge science and technology that he says will enable us to edit DNA to fight disease, reverse aging and prolong fertility.